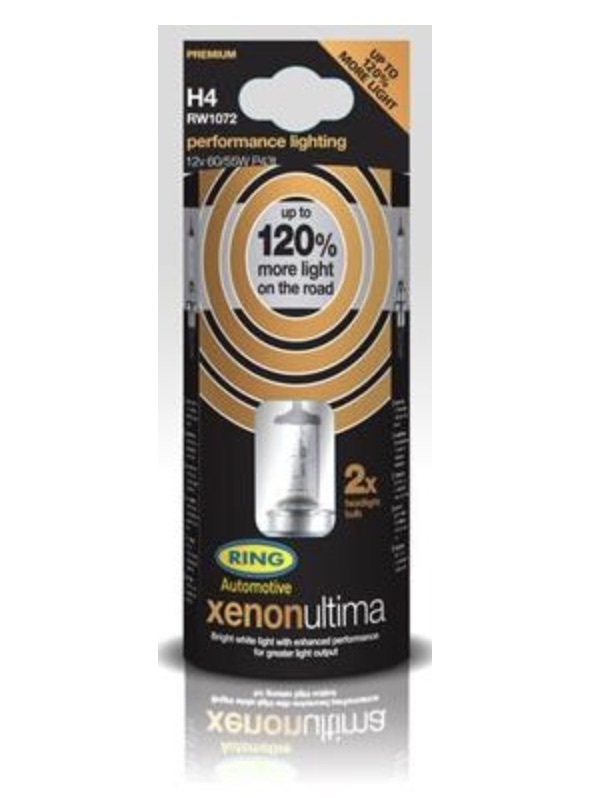 Ring Automotive Xenon Ultima promises 120% more light…. at the expense of bulb life. Philips – a renowned automotive bulb manufacturer, markets it’s Philips X-tremeVision that promises a whopping 130% more light as compared to a standard halogen bulb. Wow! That’s A LOT of light! All these while still maintaining street legal. In fact, based on the marketing numbers alone, I was almost on the verge of purchasing a set of these. 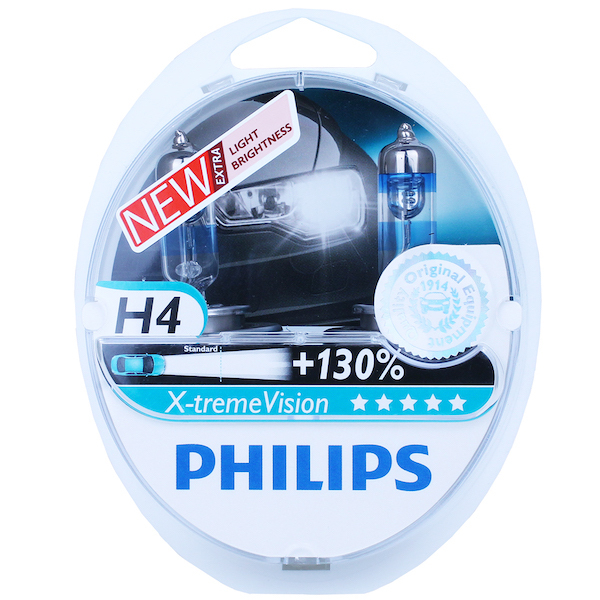 Philips X-tremeVision promises a whopping 130% more light compared to a standard halogen. Holy moly! 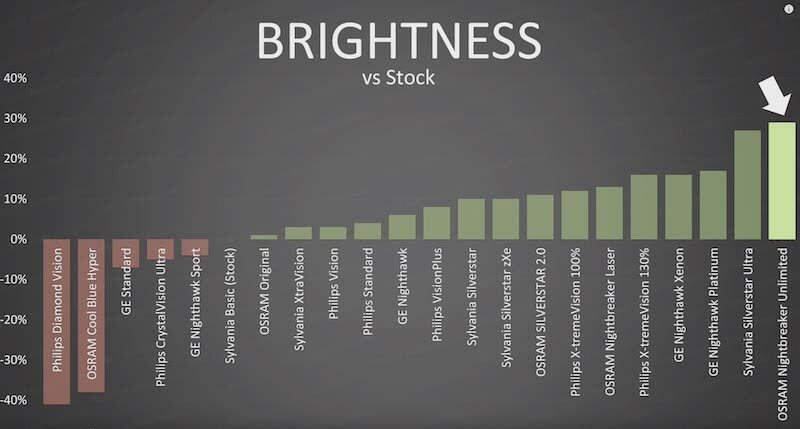 Osram’s Nightbreaker Unlimited is waaay up there! It may not be as “white”. 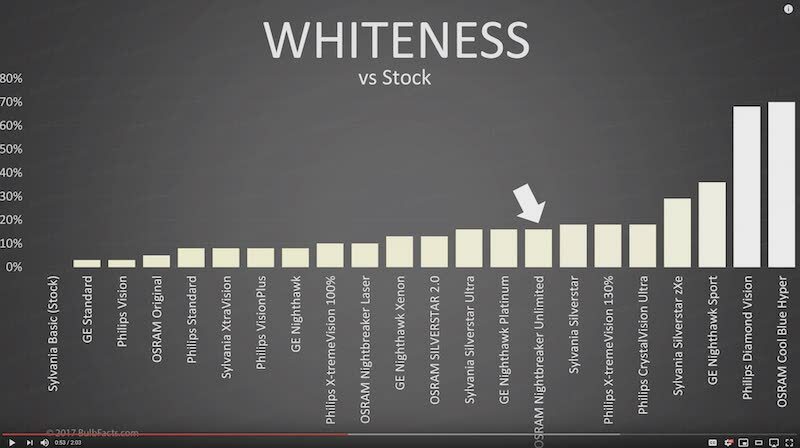 But the whiter bulbs tend to be even LESS BRIGHT than “stock”! The clear winner here was Osram’s Nightbreaker Unlimited! 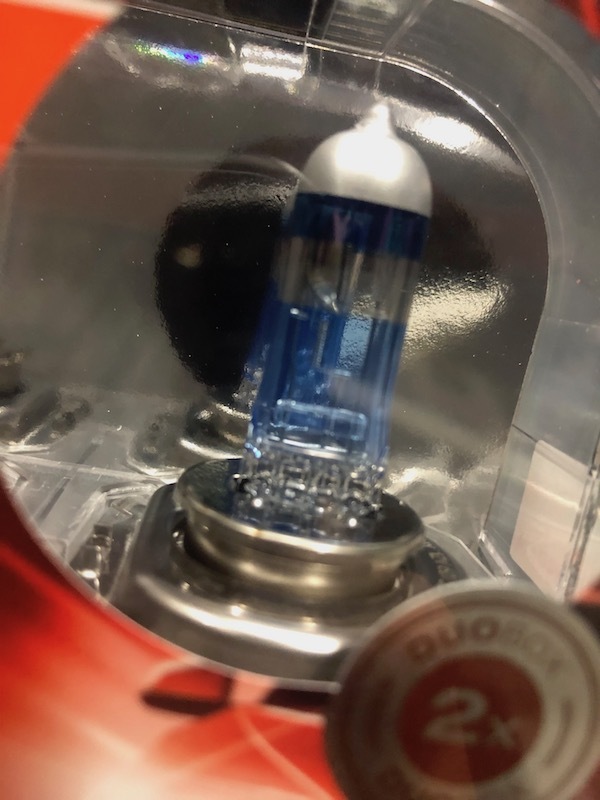 And although Osram claims 110% more light vs Philips’s X-tremeVision 130%, in BulbFacts.com’s test, Osram’s bulb was significantly brighter. And that the Osram was S$45 a pair vs Philips $58 a pair from where I purchased it, it was a double win for me! The super bright Osram Nightbreaker Unlimited has a slight blue tinge to the glass casing. Replacing the H4 headlamp bulb on I don’t have pictures comparing the old stock bulb vs the Osram’s Nightbreaker Unlimited, but I could immediately tell that it was SIGNIFICANTLY brighter after the replacement. Though not as bright as the LED headlamps on my R1200GS, but the new halogen replacement on the G650GS now gives me added confidence riding in the dark. Yup! The additional brightness IS noticeable! 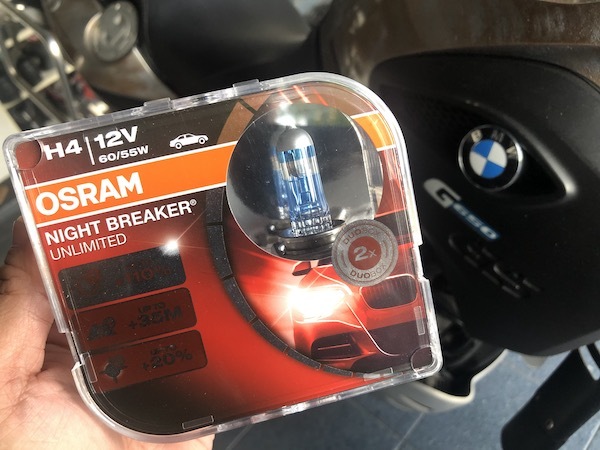 I highly recommend the Osram Nightbreaker Unlimited as a street-legal replacement bulb for the standard stock halogen! Osram Nightbreaker Unlimited – HIGHLY recommended! I ve used the osram’s on my current Bike for 2 years now and I ride on. Daily basis. They haven’t blown.